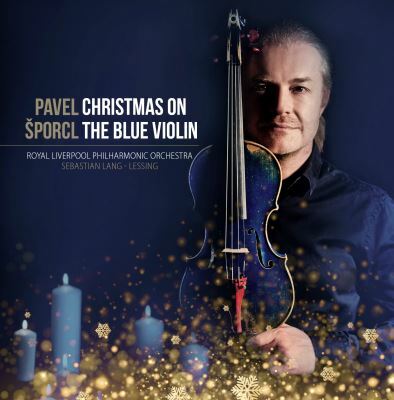 Christmas on the Blue Violin: that is the name of the first Christmas album by violinist Pavel Šporcl. He has created this album together with the world-famous Royal Liverpool Philharmonic orchestra and conductor Sebastian Lang - Lessing. The album contains the most famous as well as lesser-known Christmas melodies, songs and traditional carols in special arrangements for solo violin accompanied by the orchestra. It was released on the 3rd of November of this year by the publishing company Universal Music. The guests of the album are members of the Czech choir Boni Pueri and harpist Jana Boušková. Seventy musicians on one stage will join in a violin tour Cristmas on the Blue Violin.